The property is a former Bank of America building with a drive-thru. 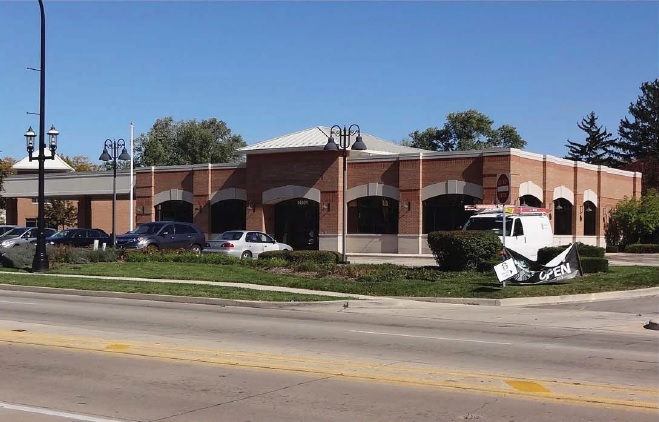 The property is located at the entrance to downtown Plainfield, Illinois and the Plainfield retail corridor. Nearby tenants include Walgreen’s, Starbucks, ATI Physical Therapy, and 7/11. The building features excellent visibility to both IL-59 and IL-126 with over 45,000 vehicles per day.